A great trainer for those who want a stand-alone as well as a VR trainer because it can be used either way. 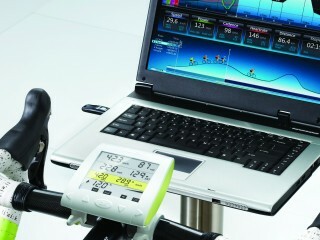 The Tacx i-Vortex Ergo Trainer is a high tech turbo trainer with a wireless computer display on the handlebars and a wireless ant dongle that plugs into your computer to connect the trainer to Tacx's virtual reality software. It comes with a white frame and includes a Skyliner front wheel support. The computer does not have a memory so if your are using the turbo without the virtual reality software you need to reset it when you begin training but it can monitor gradient and heart rate during your ride. The trainer offers a high level of resistance for maximum impact training. 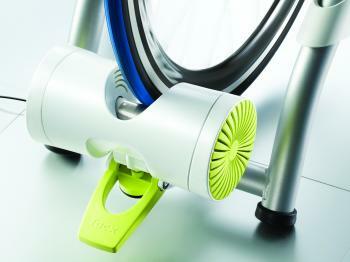 This turbo trainer is ideal for cyclists who need to prepare for big upcoming races. 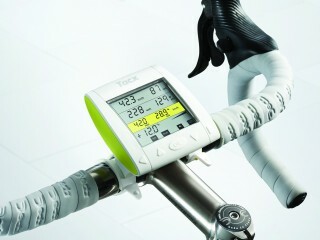 Another plus point in favour of the Tacx i-Vortex is the ease of use and it takes no time to get training on it. The Tacx i-Vortex has a maximum magnetic resistance of 950 Watts, and it is completely wireless (i.e. no cable between the brake and the handlebars), although you need to plug it into the wall.